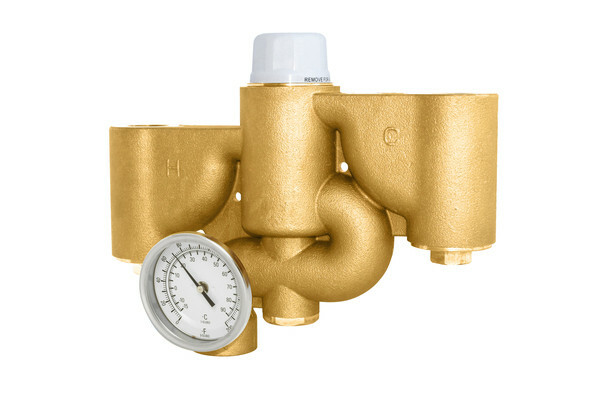 Speakman has announced the introduction of the Gravityflo Emergency Tank Shower. 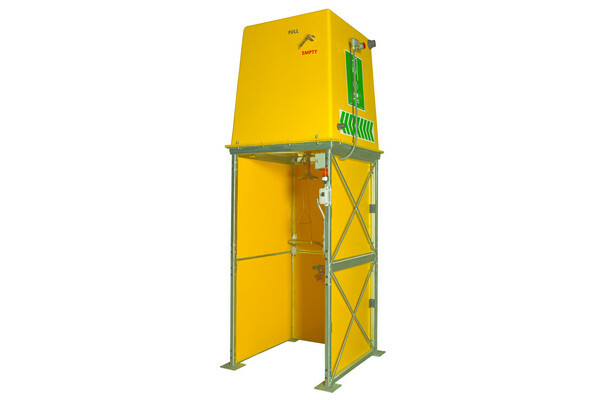 This new safety product is designed with a 2,000-litre (528-gallon) tank to solve the compliance dilemma faced by many managers on a site with no running water or inadequate water pressure. 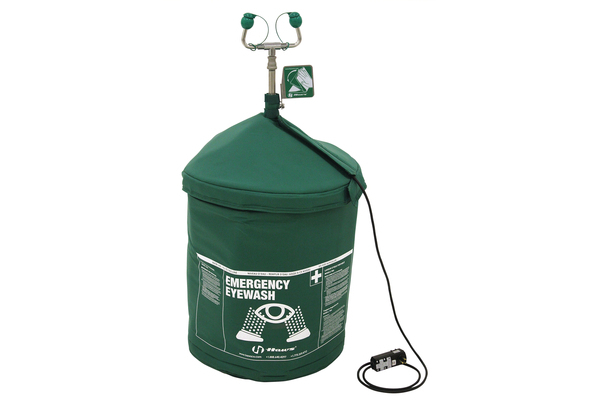 Applications for the new emergency tank shower include job sites without running water and environments where water may be shut off temporarily. 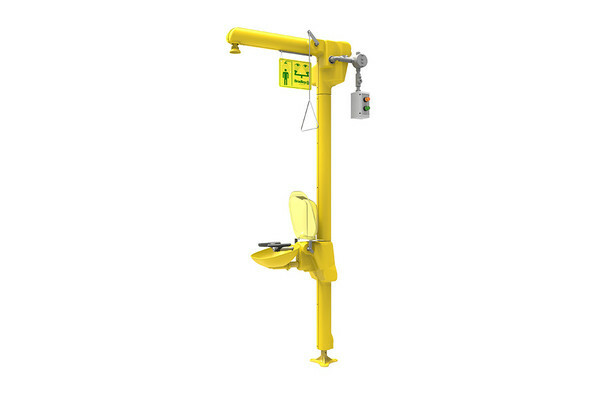 Additionally, this emergency tank shower is an ideal unit for older facilities or sites where the pipes cannot produce the 20 gallon per minute (gpm) flow requirement. The tank shower’s integral heater maintains water temperature in the tepid range of 15.5 C to 37.7 C (60 F to 100 F). It has an integrated emergency eyewash with plastic bowl with push-handle activator. The unit has heat-tracing for eyewash and emergency shower piping, a stainless steel showerhead and is ANSI/ISEA Z358.1 certified. 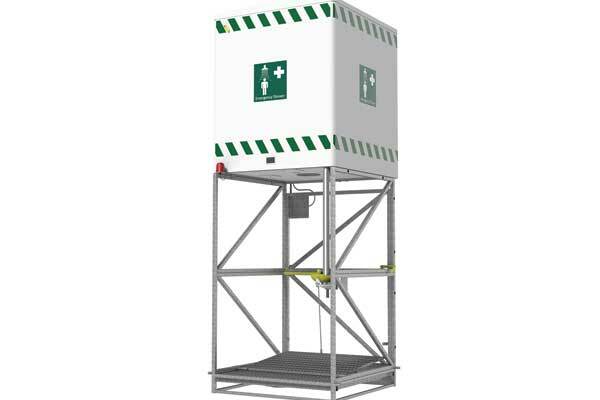 Engineered for demanding conditions, the Gravityflo Emergency Tank Shower also offers a number of optional component upgrades, including stainless steel bowl and support frame, treadle plate activator, privacy screens, alarms and digital temperature gauges. Each tank shower comes with a three-year general mechanical warranty and a one-year electrical equipment limited warranty. 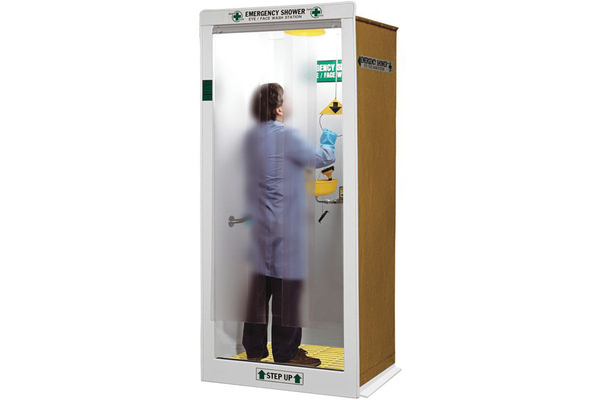 The emergency shower is built to order for each customer’s specific requirements.